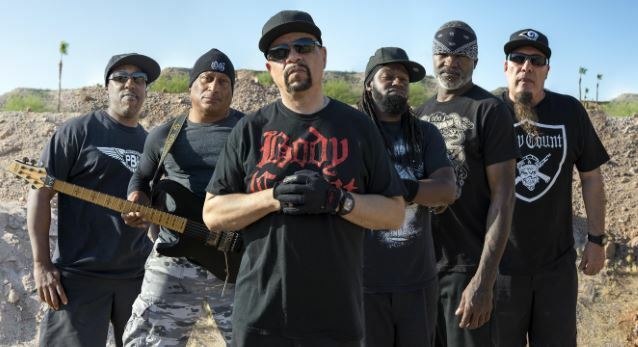 BODY COUNT, the metal band fronted by hip-hop legend, actor and director Ice-T, has set “Bloodlust” as the title of its next album, due in 2017 via Century Media Records. The group is recording the CD with producer Will Putney (MISS MAY I, UPON A BURNING BODY), who also helmed BODY COUNT‘s last effort, “Manslaughter”. BODY COUNT‘s 2014 comeback album “Manslaughter”, saw Ice-T modernizing some of the lyrics, adding references to Xbox, email passwords and vegans.